What can be said about the abundant natural beauty that lies near the poles of our planet? Mostly unexplored, these areas can be observed closely by touring countries like Norway. The country, with its breathtaking landscape and modern cities, is a treat to visit. There are many small group tours of Norwegian Fjords & Northern Lights which make the place a haven for nature lovers. Read on to know why Norway must be on your travel wishlist, if it isn’t already . The beautiful physical phenomenon that appears as one ventures closer to the poles is probably the biggest exciting reason to visit Norway. It’s proximity to the northern pole and sparse population towards north makes for some of the prettiest settings to catch Northern Lights for the first time in your life. There are special tour packages as well as cottages in the wilderness where you can be a witness to this spectacle of mother nature. As blue green lights dominate the night sky with the signature sound, the whole experience becomes once-in-a-lifetime opportunity for the select few. Vikings, the Northern European fighters who once dominated the seas, have strong ties with Norway and surrounding area. You will find beautiful museums and pieces related to the Viking era and culture in the cities. Oslo is home to the Viking Ship Museum, where the majestic Observer Ship can be seen. Apart from that, the countryside of Norway has a number of cultural practices, customs and ways of life dating back to that time. Imagine beautiful reindeers and snowy slopes with dozens of skiers ready to ski down. Norway has it all and more, which makes for the perfect features. You can opt for easy hikes all around the country. If you are a serious hiker, climb Galdhøpiggen, which the highest peak in Norway. Apart from that, Trolltunga, Rondane National Park as well as Pulpit Rock are other such natural points where you will find a number of angles to click the beauty of nature and keep it with your forever. The scenic and majestic fjords in Norway are typically small valleys filled with water, surrounded by high cliffs. No trip to the area is complete without taking a boat down the fjords, the beauty of it is such. There are even a number of touring cruises available which cover Norwegian fjords and the villages around them. You will find a number of fjords along the western coastline. 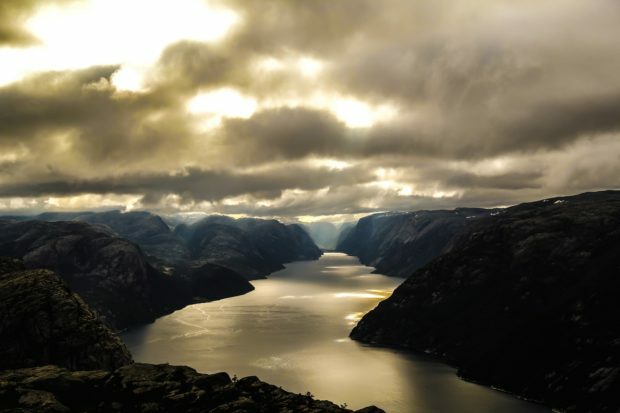 One popular place is the Sognefjorden, which is in fact the longest such structure in all of the continent. As you go to the north of the country, you will enter the Svalbard area, which is known for its flora and fauna. There are almost no humans around here. However, the beauty is supplemented by a number of arctic animals. In areas like Longyearbyen, you can actually go for guided tours to spot polar bears. These white fluffy animals may appear cuddly in pictures, but in the wild, they are one of the extremely dangerous animals. So, always travel with an experienced guide only in this region.